to be done to make it come to full fruition. But the journey of one-thousand miles begins with a single step, as they say. That step for us begins with a showdown of two of the new innovators of the electric vehicle, the 2011 Chevy Volt and the 2011 Nissan Leaf. Information from Car and Driver, Consumer Reports, and Edmunds, have given us all we need to see which of these miniature four-wheeled hatchbacks give the best overall value for your money. either gasoline or Ethanol85. 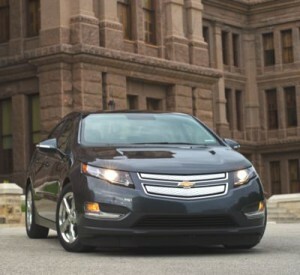 This does vastly improve the Volt’s range over the 100-mile capability of the Leaf. Braking/Safety/Handling: Neither vehicle has been crash tested yet, but both provide an array of airbags, antilock brakes, and stability control. The Leaf does add traction control as well. This added feature may have a lot to do with its superior handling. 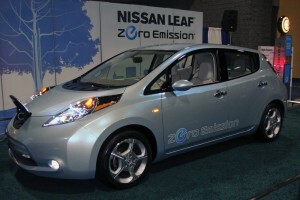 In all respects the Nissan handles more like a compact family sedan than a tiny electric. On the other hand, the Volt is probably the only vehicle that can match the Leaf in handling. It exhibits very little body roll and a more natural feel than standard hybrids like the Toyota Prius and Honda Insight. The acceleration and added torque at higher speeds give the Volt the edge here. Cargo/Hauling: The cargo area of the Leaf is on the small side for a hatchback and the rear seat does not fold totally flat. It does have a maximum seating capacity of five people, but getting that fifth person in can be a chore, unless it’s a very small child. The Volt hatchback has a convenient design for loading, but cargo capacity is still only 10.6 cubic feet thanks to a heavily-sloping rear roof. Still, it does provide more space than the Nissan. Comfort/Interior: Speaking of the interior materials quality of either vehicle is difficult since a vast amount of production models have not been made yet. However, the controls of the Volt are placed in a futuristic readout pattern and maintain a fairly intuitive layout. They’ve been modeled after personal electronic devices, which is a nice change to the standard button display. The seating in the front of the Leaf is adequate for even taller drivers, and the seats themselves are quite comfortable. However, considering the short distance the Nissan is rated for, this seems to be a moot point since they’ll not be enjoyed on long road trips. Amenities/Options: Bluetooth, an auto-dimming rearview mirror, an iPod interface with USB connectivity, cruise control, and a touchscreen navigation system are all options on both models, as is a rearview camera. The Volt seems to go a little higher in luxury options as it offers a Premium package that includes a leather-wrapped steering wheel and heated leather front seats. It also adds OnStar to its navigation package. Value for the $: The Volt is available in only one style for one price, $40,280. The Nissan offers three style choices starting at $32,780 and making only a short climb to a top end of $33,720. Winner: This is one of those cases where price does not dictate value. Despite the added price tag, the Chevy provides a longer travel distance, better cargo capacity, and superior performance. It is definitely the better choice here. 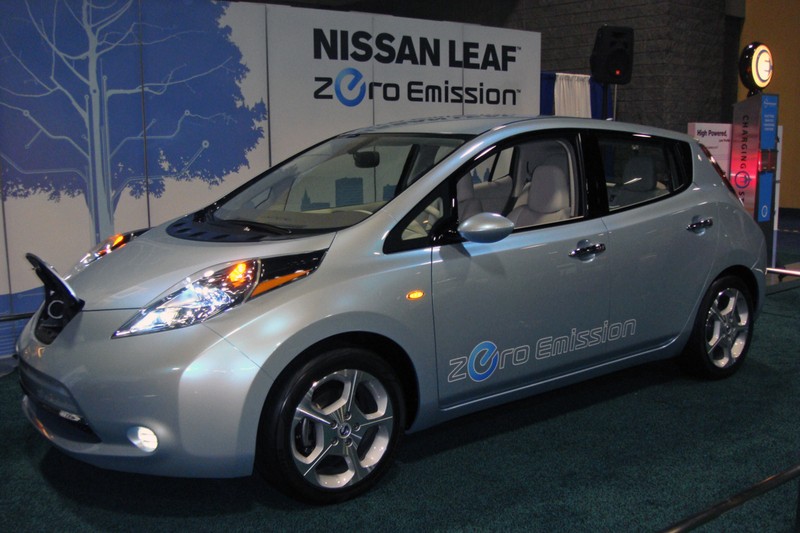 I would really love to see a comparison between the Mitsubishi i, Nissan Leaf, and Chevy Volt. Seems like the i has been left out of the conversation while I believe that the i and the leaf are much more comparable to each other than the leaf and the volt aren’t.